You’ve heard of Maslow’s hierarchy of needs? I’ve got Klink’s hierarchy of train wrecks. I was talking to a colleague recently about basic expectations for staff responses in adverse situations, based on their level of experience. The further up the ladder you are, the higher the expectations for proactive observation and corrective action. That was nasty. What happened? I was in a train wreck! I inform others that a train wreck occurred, and describe the details. 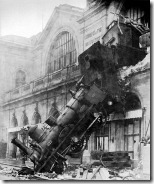 I can describe the root cause of the train wreck, and find ways to avoid the same in the future. My analysis is objective and dispassionate, of course. I can see conditions shaping up for a future train wreck. I communicate that to others and actively work to avoid the accident. I accept that trains wrecks, while regrettable, are inevitable. I actively work to reduce their frequency and impact. This may involve a combination of training, process and technological improvements, political maneuvering, and so on. I implement a process or technology shift (riding bicycles for example) which eliminates train wrecks as a class of problems. 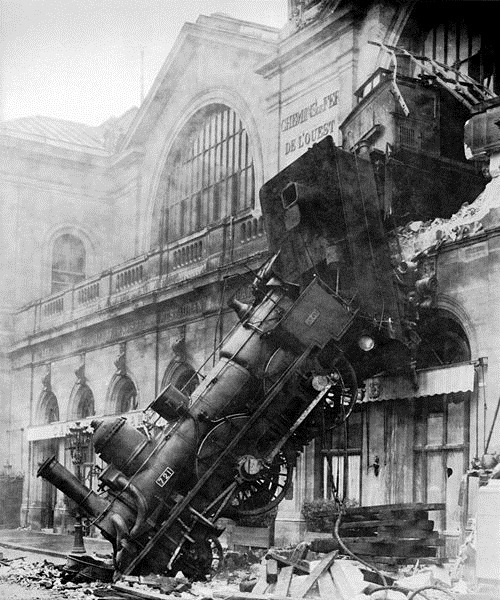 The goal is to spot organizational train wrecks early, communicate that they are forthcoming, mount resources to correct them and (ideally) factor out their possibility of occurrence.